June 10th – November 30th, 2009 – A new exhibition at MoMA called “Looking At Music: Side 2” explores the creative exchange between musicians and artists in New York City in the 1970’s and 1980’s. On display are photography, music, video and publications including the work of Jean-Michel Basquiat, Blondie, Richard Hell, Sonic Youth and Patti Smith among others. 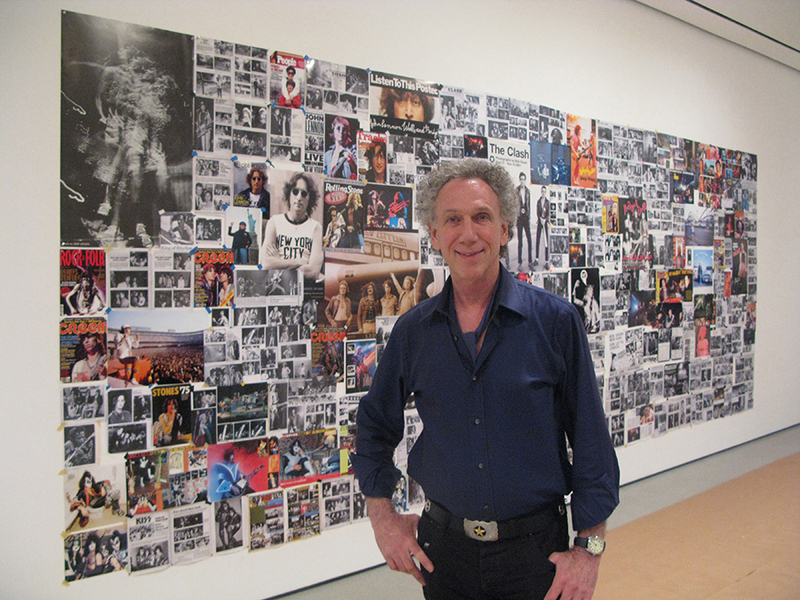 For this exhibition, legendary rock photographer Bob Gruen has created an installation of magazine spreads and covers and posters titled “A Rock & Roll Teenager’s Bedroom Wall”. The installation is 7.5′ x 22.5′. On a monitor next to the wall is a video titled “New York Death Cult”, made by Bob Gruen consisting of bands playing at Max’s Kansas City in 1976 that include Jayne County, Robert Gordon, Blondie, Patti Smith, Johnny Thunders and Richard Hell. The exhibit will be open during regular museum hours from Wednesday June 10th until November 30th, 2009.